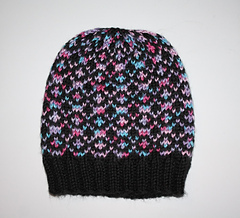 Stonybreck is the name of the main settlement on Fair Isle. 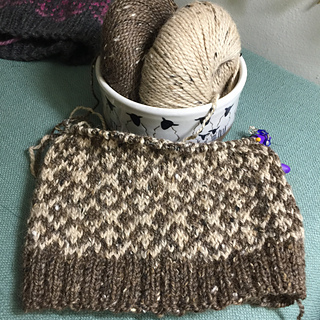 I picked this stitch because I like when the colour patterns create curved shapes (a bit like stones) rather than straight lines. 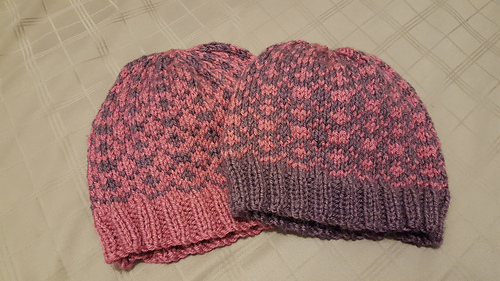 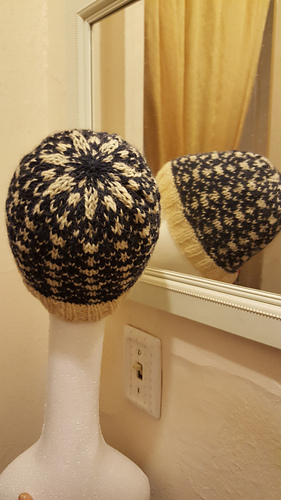 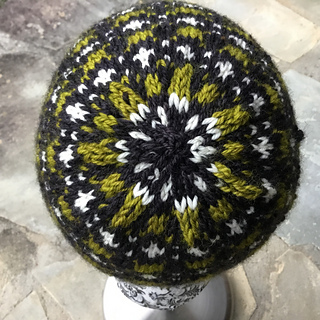 Split Stones is another hat pattern of mine with pebble shapes. 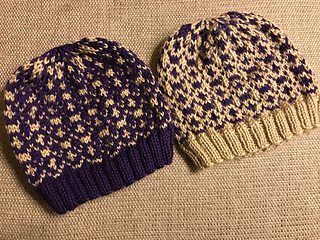 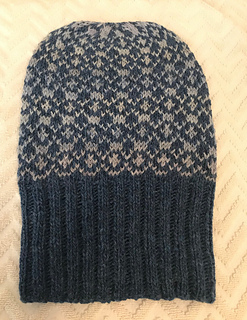 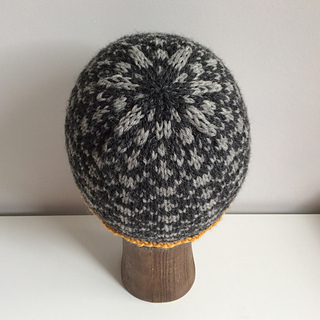 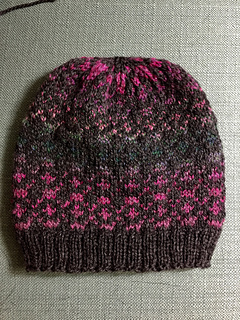 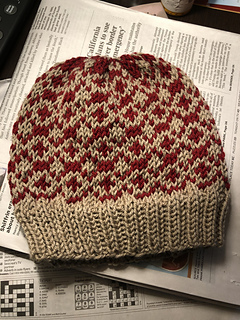 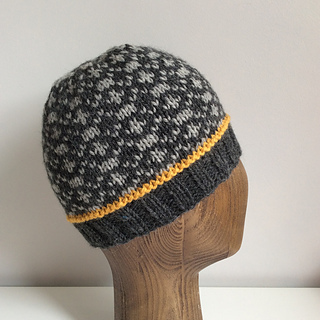 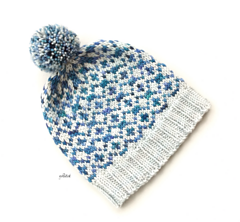 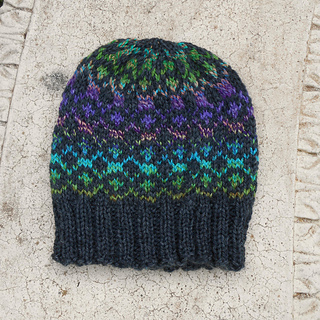 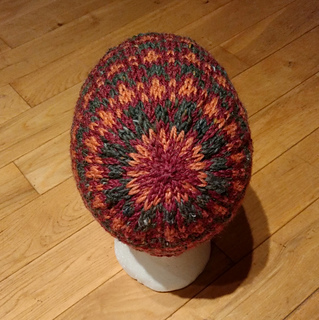 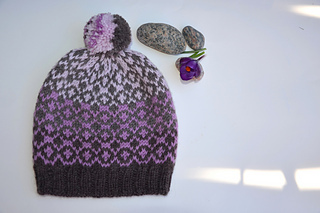 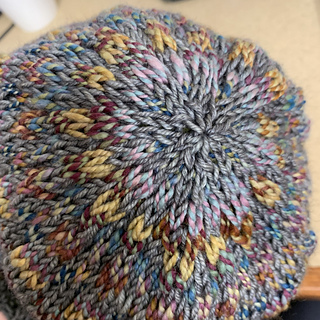 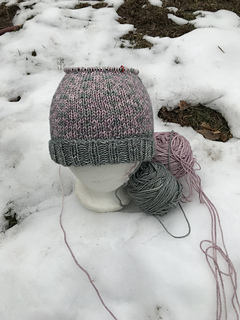 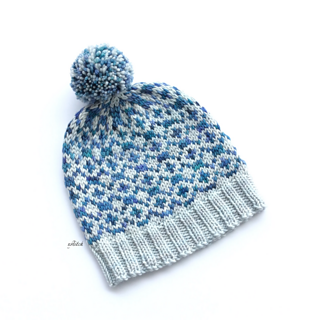 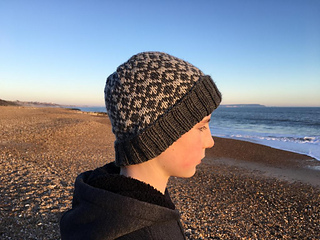 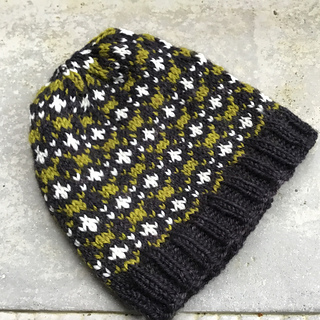 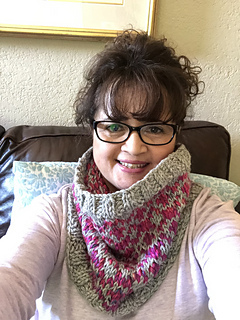 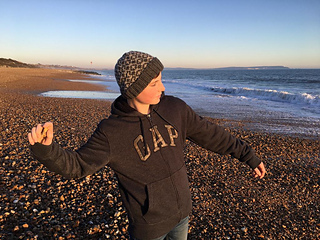 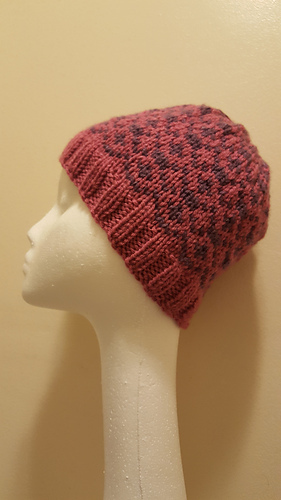 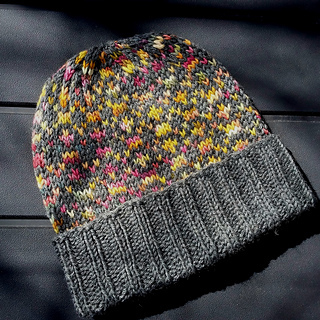 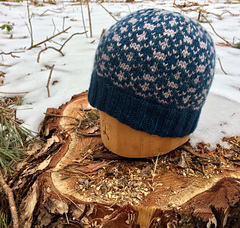 The Stonybreck hat is easy to knit with no yarn carried over more than 3 stitches - so there’s no need to catch floats: a good project for a beginning fairisle knitter - or a relaxing one for even the most experienced stranded knitter. 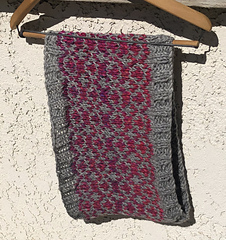 If you use a handspun, striping or variegated yarn as the contrast colour, you’ll get extra complexity for no extra effort. 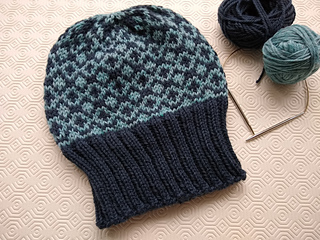 2 charts are provided for each version so that you can pick the one closest to your yarns for easier knitting (no need to try and reverse colours in your head as you knit) . 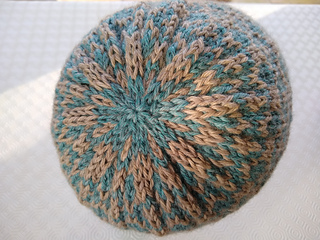 for 22 sts per 4”/10cm - use 120 sts. 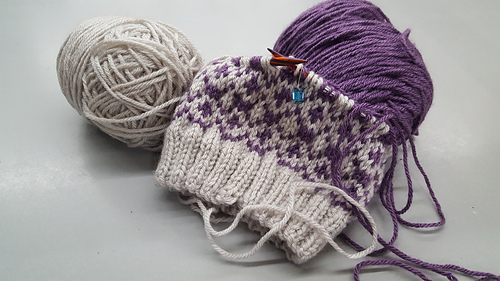 for 24 sts per 4”/10cm - use 132 sts.